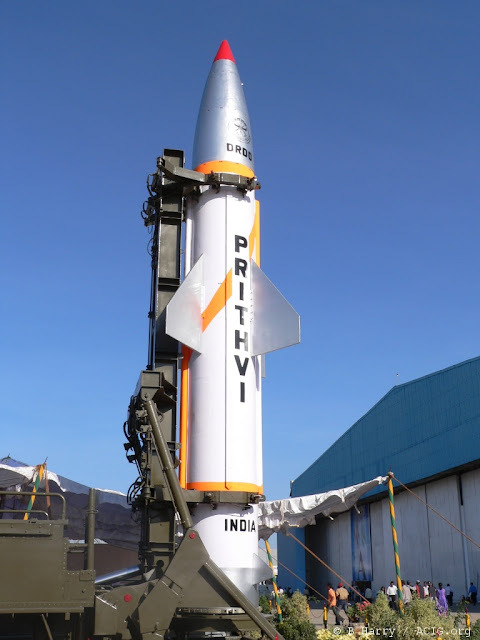 The Prithvi-II missile is capable of carrying a 500 kg to 1,000 kg warheads and is thrust by liquid propulsion twin engines. It uses advanced inertial guidance system with maneuvering trajectory to hit its target with precision and accuracy. The trial of the surface-to-surface missile, which has a strike range of 350 km, was carried out from a mobile launcher from launch complex-3 of the Integrated Test Range (ITR) at Chandipur near Balasore at around 9:50 am, official sources said. The trial of the sophisticated missile was successful and the mission objectives were met, they said. The state-of-the-art missile was randomly chosen from the production stock and the entire launch activities were carried out by the specially formed strategic force command (SFC) and monitored by the scientists of the Defence Research and Development Organisation (DRDO) as part of training exercise, a DRDO scientist said.